Remember in the surf documentary, Endless Summer where Robert August and Mike Hynson rode those really long waves in Cape St. Francis, South Africa? They would be on the same wave for up to 45 seconds, a really long time to ride one wave. And the wave was so perfect it’s the absolute most perfect longboard wave ever made. The movie described it best by saying it was as if the wave was made by a machine. If you’re on a longboard this morning, this is probably the wave you dream of catching. 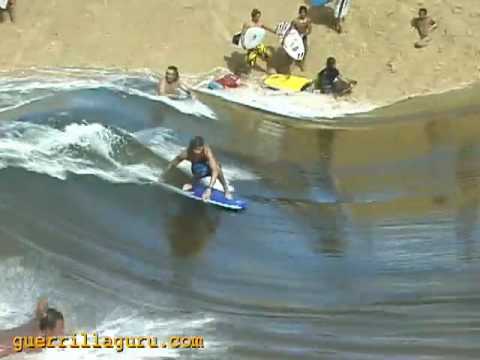 Enter the Poraroca Wave in the Amazon River, found in Brazil. 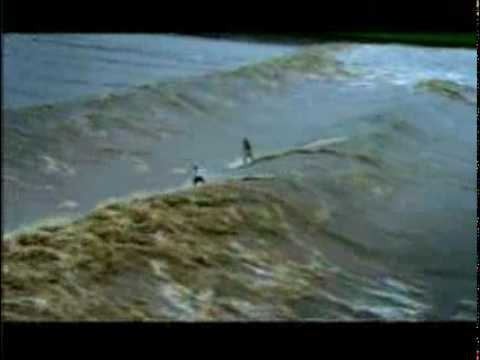 Twice a year, a phenomenon called the “Tidal Bore” creates the longest wave on the planet. The Atlantic ocean water gets so high that it meets the Amazon river. When these two massive bodies of water meet, the two clash and create a wave that goes as high as 12 feet and lasts for over 30 minutes. The crash of this wave is so loud that it can be heard for 30 miles away, and it’s so powerful that it can destroy anything in its way, including houses, trees, and people. There is also a lot of debris in the water, and at times surfers find themselves floating alongside entire trees. In 2003 a Brazilian surfer named Picuruta Salazar rode the wave for 37 minutes and his ride took him over 12 kilometers. Talk About Consistency: Where the Surf NEVER Stops! River surfing might sound like a joke until you watch this sick video. These waves just keep on coming – what a blast! By the way, this would also be a great place – if not the perfect place – to learn how to surf.